Before I share with you the easiest most delicious recipe I have shared yet on HH, let’s recap last week’s healthy habits challenge. Somehow I got the average over 7hours! 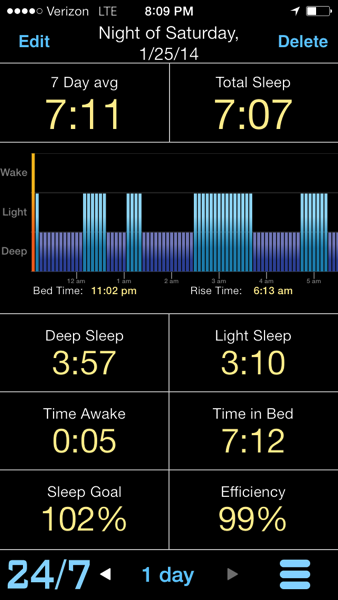 I think one thing that really helped was going to bed with 8 hours of available sleep, instead of 7. That meant I was more likely to have my act together and have fallen asleep with 7 hours left. I don’t know about any of you guys, but this was HARD. I felt like I had to sacrifice so much blog time and personal time to make this happen. On the other hand, I was more efficient at what I was doing because I wasn’t knock out exhausted all the time. Either way, I know its good for the injury healing road so I’m going to keep it up as much as I can. Did you focus on getting more high quality sleep last week? If so, I’d love to hear how it went! Don’t forget to check out and join in on this weeks challenge: meditate daily. Now onto the most amazing breakfast/lunch/dinner ever. 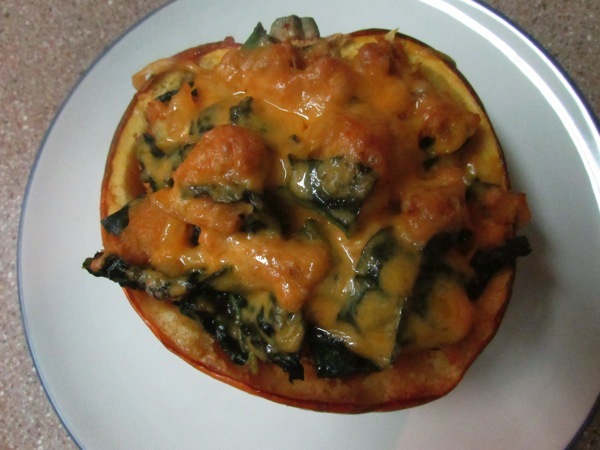 I knew exactly what I was doing with the acorn squash that had been sitting on my counter for 3 weeks. Luckily squash is pretty hardy and lasts forever, but I was sick of looking at it. That chicken chorizo sparked an immediate plan of action to get that squash off the counter and in my belly! For those of you who have been reading a while you may have picked up that my hubby really doesn’t like squash, in any form. 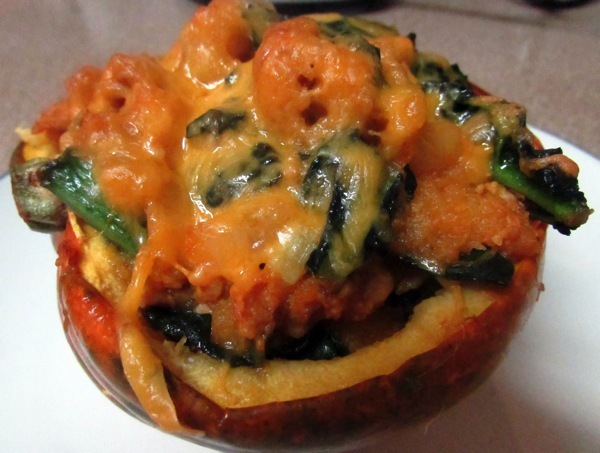 This recipe is so good that he gobbled it up and gave it two big thumbs up, so ya it’s that good! 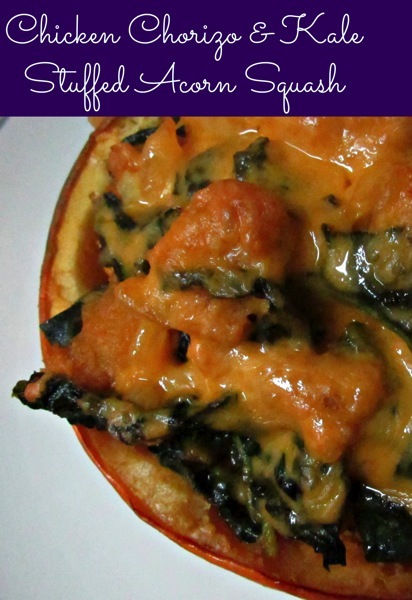 Did I mention this recipe has only 5 ingredients and is super easy to throw together? Even better. Since this recipe has so few ingredients, it can be adapted to fit any eating pattern. Vegan/vegetarian friends could sub soy chorizo instead of chicken, and paleo friends can just skip the cheese. Trust me there will still be tons of flavor from the chorizo! 1. 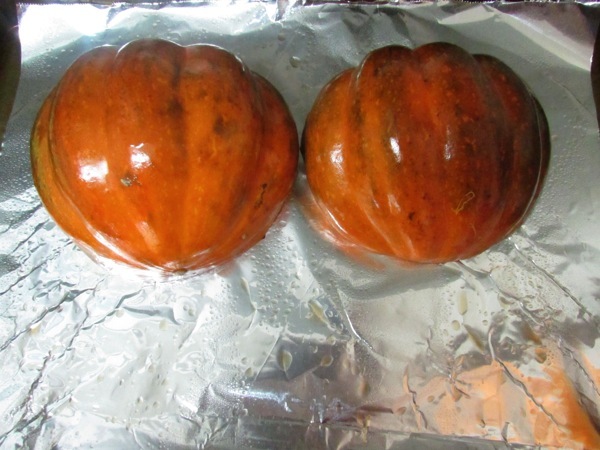 Cut acorn squash in half and bake face down at 350F for 25 minutes. Once its done baking, let it cool while you prep the rest of your ingredients (5-10 minutes). Turn oven up to 350F. 2. Add onion(s) and chorizo to large oven safe skillet on medium high. 3. While chicken begins to cook, leaving ¼ inch layer in skin scoop out squash flesh and add it to the chorizo. Break up chorizo with and mash squash with spoon or spatula. After about 10 minutes the squash will have become kind of creamy and your chorizo will probably be cooked all the way. Add in the kale and sauté till it begins to wilt (2-3 minutes). 4. 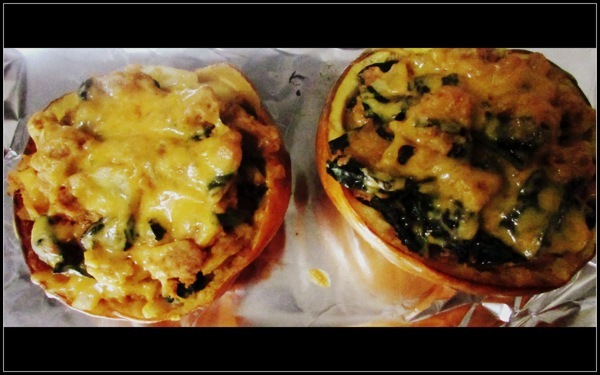 Spoon mixture back into shells, top with cheese and bake on 350 for 5-8 minutes. It’s done when the cheese is bubbly and golden brown. Note: If you don’t want to mess with stuffing the squash again, you can easily make this a skillet meal. Just use an oven safe skillet (like cast iron or stainless steel) and top entire skillet with desired amount of cheese. Place the skillet in the oven for same amount of time, 5-8 minutes. This recipe has tons of flavor and is really satisfying, I was full after eating a little over half of one side. So I split the recipe into four servings, but most likely it serves 2-3 people. 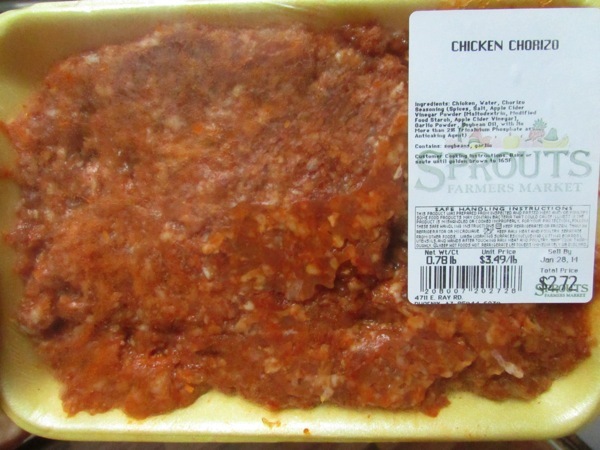 Note: when I did the recipe analysis the program I used did not have “ground chicken chorizo” in the database. I ended up used plain ground chicken, 93% lean instead. 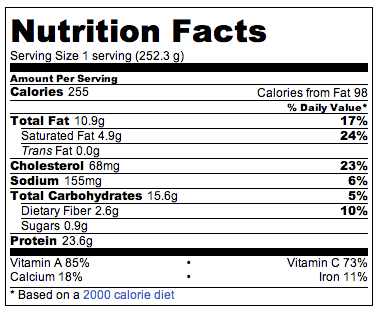 So the nutrition facts are only a rough estimate. I packed the other half for breakfast & lunch today, done and done! I’m off to work, have a great Monday!